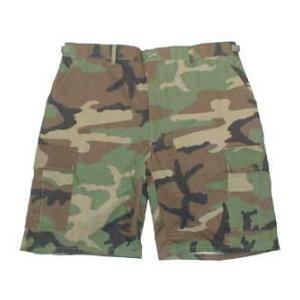 These BDU shorts are made of 100% cotton rip-stop. They have six pockets, a zipper fly, and adjustable waist tabs. US materials sewn overseas to military specs.